Today's post is more festive than fashion, I hope that's okay! 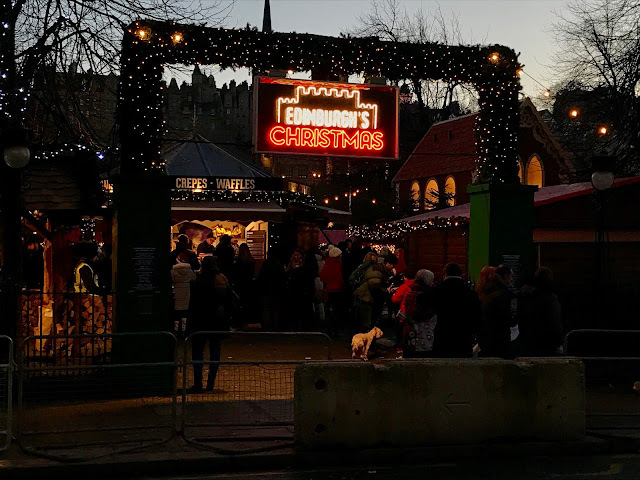 I recently visited Edinburgh for the day with my best friend and it was super, super festive! The day involved us walking around loads, shopping, drinking Bailey's hot chocolate (and in Natalie's case, getting asked for ID to buy it!! ), eating amazing Christmas cupcakes at Cuckoo's Bakery and admiring all of the amazing Christmas lights! Edinburgh is the perfect place to go if you want to feel super Christmassy (not that I ever need much help in that department!!!). 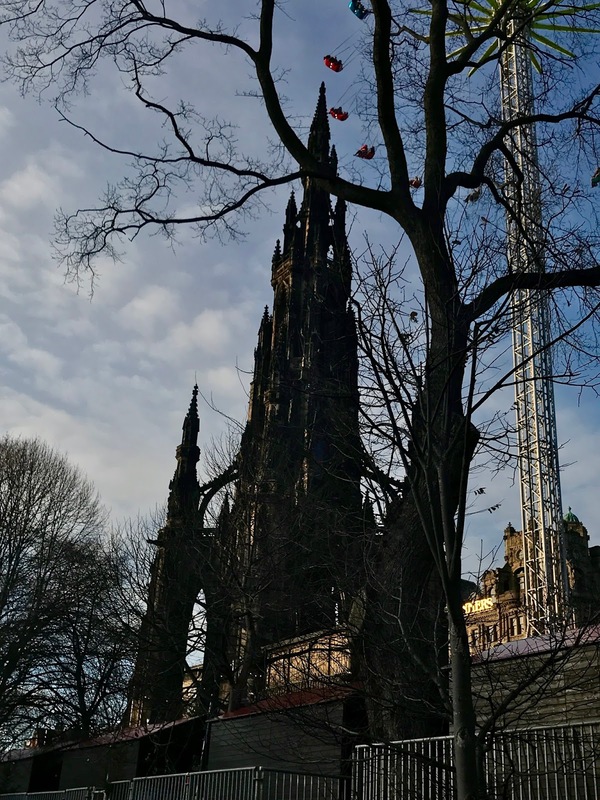 I normally try to give everything a fashion angle on my blog, but as Edinburgh was so very beautiful, I had a feeling that you wouldn't mind me sharing the love for it even without my usual fashion twist! 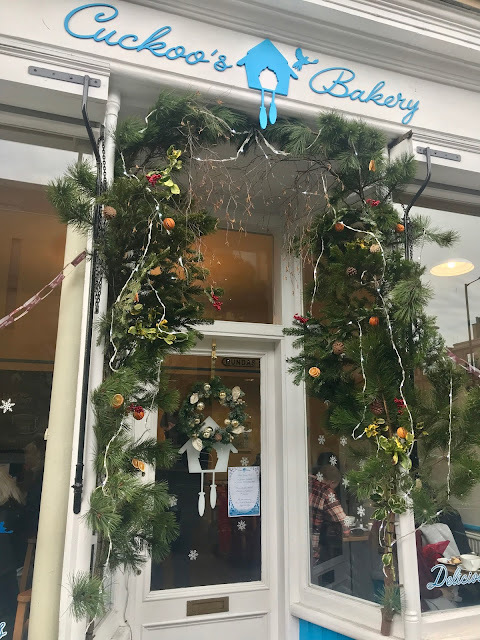 So here's door 19, Edinburgh in pictures! A little walk out of the centre, and well worth it too, you'll find Cuckoo's Bakery. This is one of Natalie's favourite haunts when she goes to Edinburgh and I'm so glad she introduced me to it on our last visit. This may look like a normal cupcakery, but believe me, the cakes are out of this world! 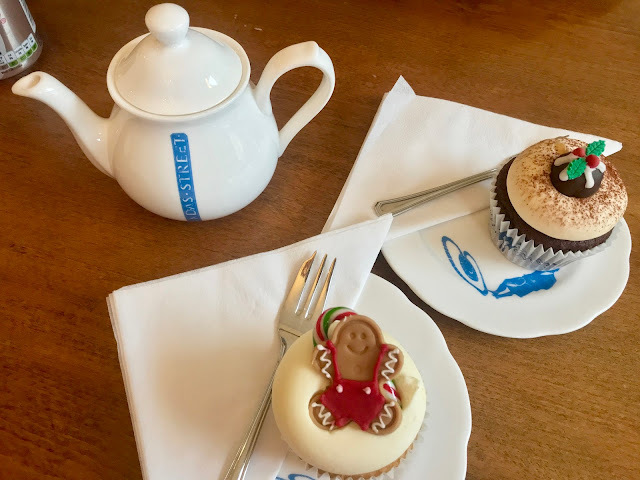 I had a Ginger and Butterscotch cupcake which was absolutely delicious; definitely add this place to your hit list; it's super cute too! You can see the Sky Flyer, a six-metre high swing ride, in the first photo. The second two are of us on it; it's absolutely amazing! Neither of us have a fear of heights, and Edinburgh is the most beautiful, picturesque place to see from the sky! I loved seeing the traffic flying along Princess Street when I looked down, even if it was freezing up there!! Definitely worth the £7.50 price, we had an amazing time up there! And who doesn't love a Christmas market? We'd recommend a Bailey's Hot Chocolate and a Nutella or Kinder Crêpe! I love London at Christmas, but I'm so glad I visited Edinburgh too this festive season; I've never seen a place look so breathtakingly beautiful when lit up! Special thanks to my bestie for being my side-chick and to Burberry for our lush free cocktail; such a great day trip all round. 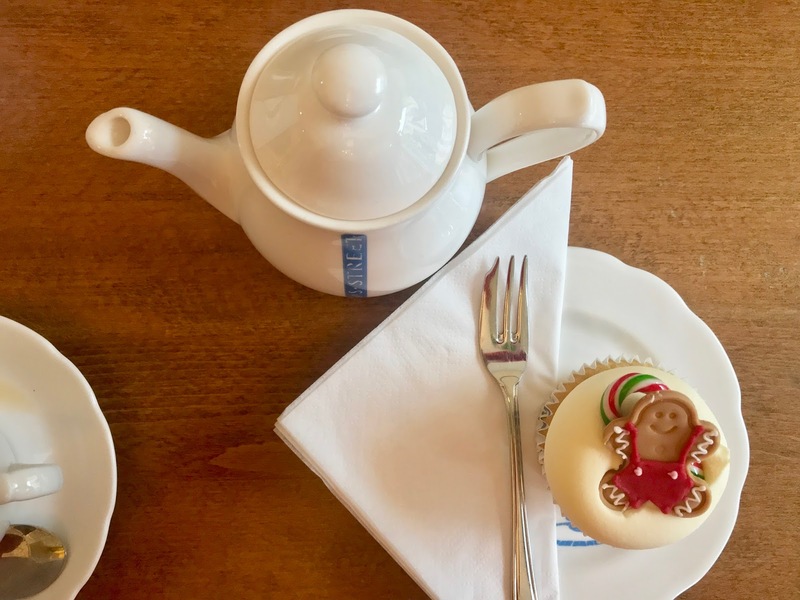 If you get the chance to visit at Christmas, make sure you go, you'll definitely come away feeling super festive! I definitely need a trip to Edinburgh next Christmas, I know so many people that have been this month and it just looks amazing!